We are very good in the infertility world at beating ourselves up. But it wasn’t our fault, and none of us deserved this. We need to grieve; then we need to let ourselves be happy. 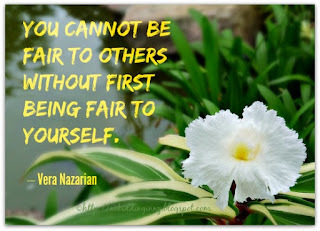 It’s easier when we are fair to ourselves. By recognising that we are not to blame, we can find it easier to stop blaming others. By accepting our emotions, recognising them for what they are, trying to understand them rather than banish them, we are better able to recognise others’ emotions too, forgive their actions, understanding that we don’t know how they feel. When we accept that we are not bad people for feeling grief at what we’ve lost, or for feeling happiness despite what we’ve lost, we can stop being so judgemental towards others, for what might otherwise have seemed to be selfish actions or self-indulgent emotions. 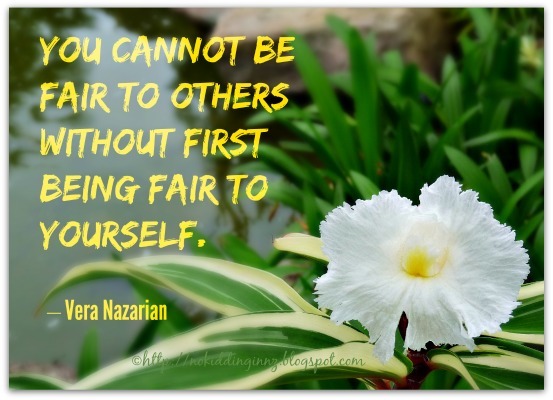 When you’re fair to yourself, it feels good to be fair to others. Yes. This is a lesson that I learned (the hard way)! So true. Universially. Hence why practicing self-kindness and self-forgiveness is so important. Makes so much sense. Definitely a good lesson to learn.